I tend to read multiple books at the same time. This forces me to take time to digest each book well. I've also found that each book somehow informs the other books I'm digesting. For instance, I am currently reading Two Views on Women in Ministry, a counterpoints book with four theologians exploring two major views of women in church leadership (egalitarian and complementarian). This is a "heady" book, which makes for a slow read. I am over halfway through the book, and I am currently wrestling with the topic of women in church leadership. The egalitarian side will have valid points backed by Scripture...then the complementarian side will give equal counterpoints backed by Scripture...then it goes back to the egalitarian side.... Each side has well-informed arguments that can leave one's head spinning. I also recently read They Like Jesus but Not the Church, written by Dan Kimball. 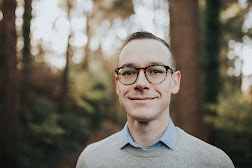 Kimball writes about a trend he's noticed: much of the emerging generation (ages 18-30) has negative perceptions of the church, but positive perceptions of the person of Jesus (which I can somewhat relate to). One of the negative perceptions of the church was that "the church is dominated by males and oppresses females." This is a sad misperception, and churches can really learn from this through self-evaluation and choosing to value women like Jesus does. But it also relates to my other current reading about theological issues. These beliefs affect church practice, and we need both orthodoxy and orthopraxy in regards to women as leaders. Kimball encourages church leadership to know where they stand on tough Scripture passages like 1 Timothy 2:1-15 and 1 Corinthians 14:34-35. These are incredibly difficult passages to interpret, but I do know that Jesus values women (and men) as human beings made in the image of God and invaluable in His Kingdom. (I highly recommend this book for anyone wanting to understand emerging generations and love them like Jesus does). Just to clarify, I am still wrestling with this subject, and view it as a secondary-yet-important theological issue. I don't have all the answers, but I am actively studying Scripture so I can have more intelligent responses to hard questions and hopefully become more like Jesus in the process. I am leaning towards a "balanced complementarian" view, expressed by Craig Blomberg in the book, and practically in place at Mars Hill in Seattle. This seems to be the view truest to Scripture and with a high regard for women (and men) in leadership. This is a touchy subject, but one that currently occupies much of my thoughts, so why not blog about it? Reading lots of different books helps keep me informed and constantly learning. This is helping me shape my beliefs and my understanding of God. What are some of your thoughts? Any further insights or questions? Any suggestions for books or resources? Join the conversation!